Silk: Medium weight, 12mm, Crepe de chin 14 x 72 . 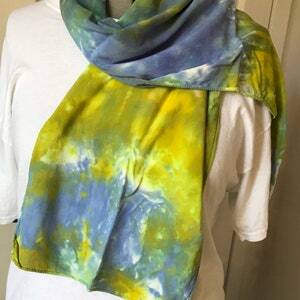 Scarf is made in China, hand dyed by DailyHandDyed in my studio. All fabric is pre-washed and dyed with care and attention to detail. 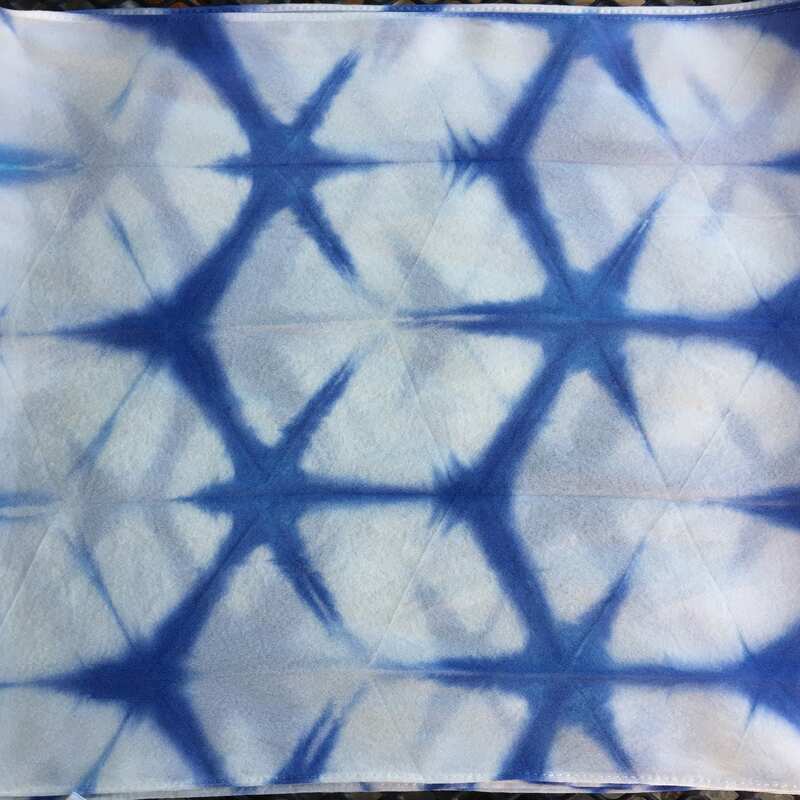 All fabrics are dyed using professional grade dyes, and are washed thoroughly after dyeing, although some light bleeding may occur. Care: Hand washing silk is our recommended mode of cleaning silk. 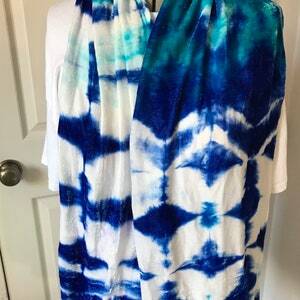 My silk scarves can be hand washed. 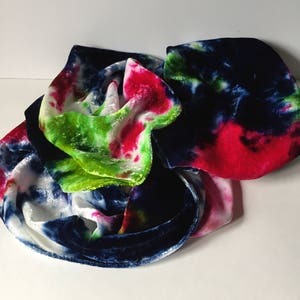 They were pre-washed for this dyeing process. Use lukewarm water and mild, non-alkaline soap such as Ivory Liquid. While rinsing, you can add a few tablespoonfuls of distilled white vinegar to the rinse water to neutralize alkali traces and to dissolve soap residue. Do not soak or use bleach. Do not wring or twist. Roll scarf in a towel and line dry. Iron on silk setting. 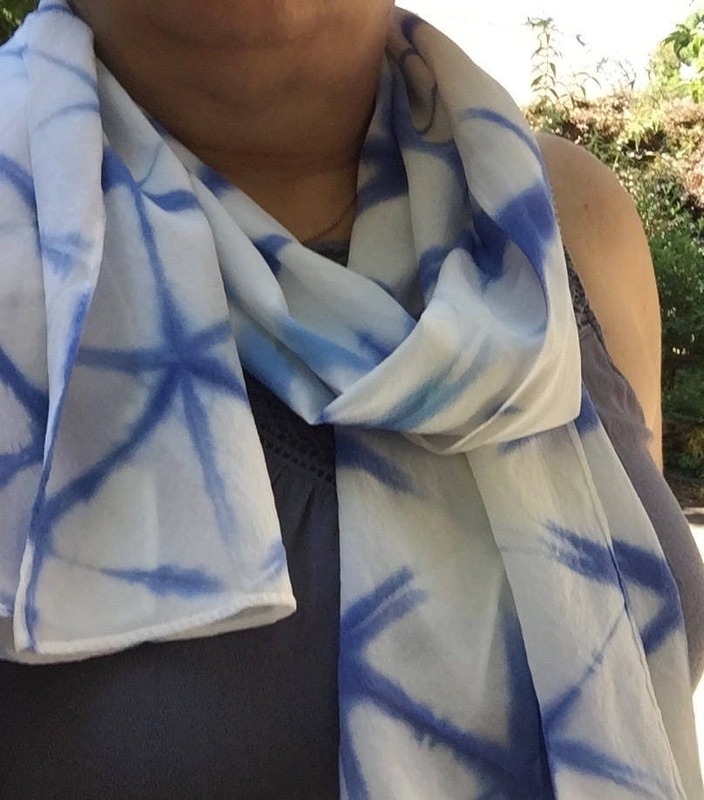 Velvet silk scarf, 13 x 70, (V18.1) royal blue and bahama blue varigated. 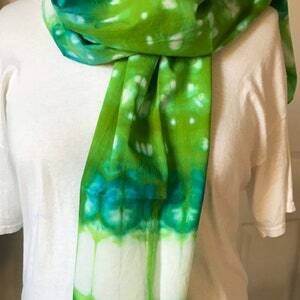 Cotton Shibori scarf, 13 x 50, (C18.3), lime green and turquoise shibori.